Looks like Hot Wheels does sell the good stuff in India. And at the unlikeliest of places - a book store (chain) last evening I chanced on these & more. We got out of Rogue One. I pushed the reluctant wife through the store’s doors, with her literally mouthing the words - May the Force Be With You (to give me strength to resist any temptations). But I guess I am with the Force and the Force is with me. 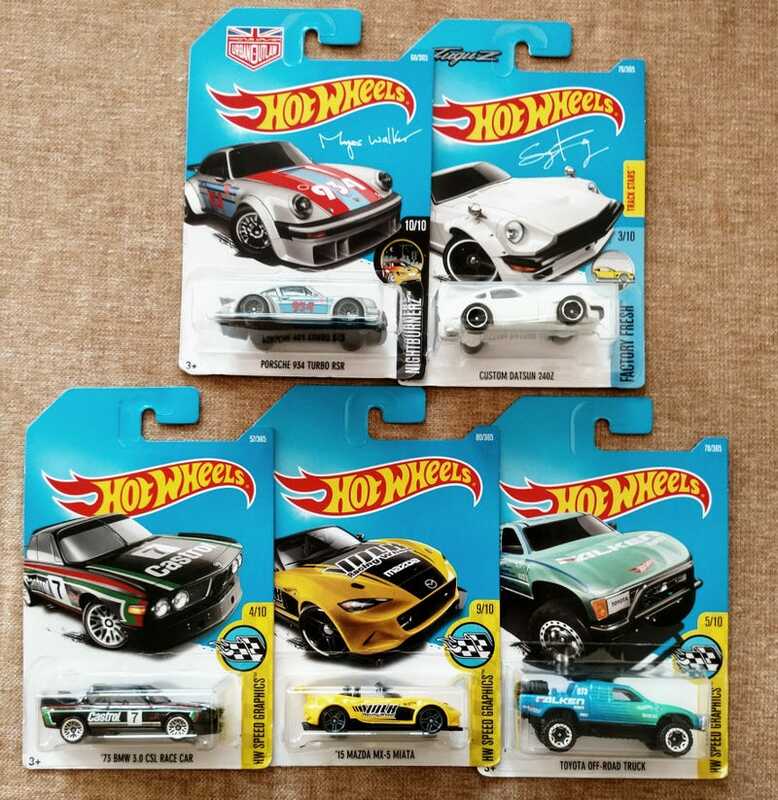 The Max Walker 954 was buried right at the back of the loaded pegs, while the 240Z was right there in plain sight. And I had to leave behind a few of the newer/newest 5 packs - Exotics (it had a Zonda) & Speed Graphics and Night Burnerz.